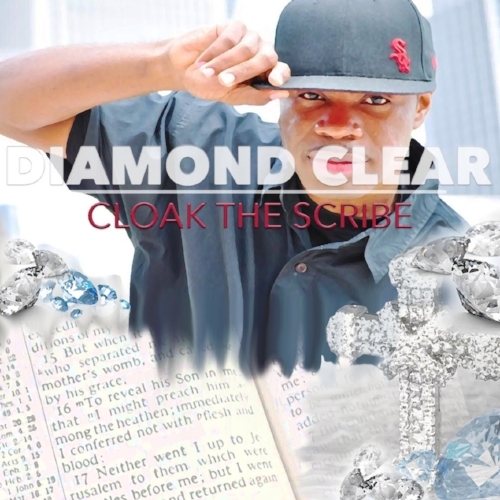 The hit single titled “Diamond Clear” by artist Cloak The Scribe has been one of the top single’s on Trend City Radio in year 2018. For the past few months “Diamond Clear” have been consistently voted into Sunday’s Allstar #Top30 countdown week after week by our listeners. Though the single has already been voted number #1 earlier this year, Cloak The Scribe seems very passionate about repeating the effort to take it back to the top where it once was. “Diamond Clear” continues to come close by charting at number #2 at times, some week’s it was only just a few votes away from achieving another “Hall of Fame” induction. The production that was created on this track by Cloud 9 makes it easy to identify the single. Cloak The Scribe lyrics perfectly blends, the mix & mastering on this single is also excellent. I rate the “Diamond Clear” track 5 outta 5 Flames! Currently a new album is in the works for Cloak The Scribe in the year 2019. All info about his sophomore album will be posted on cloakthescribe.com. The new “Who Shot Ya Free-style” will be available in April. In the meantime click the link to listen to the hit single titled “Diamond Clear”.